Welcome to this week’s addition of TheJudge13 #F1 Bar Exam, where you can test your memory about the history of Formula 1. Last week’s question(s): Can you name the driver in the photo, the team he raced for and who was his teammate for the season. Also, why did his previous teammate lose his race seat? The answer(s) I was looking for were: The driver in the photo is Mark Webber driving the Jaguar R5 during the launch in 2004. His teammate for the season was Red Bull backed Austrian Christian Klien who replaced British driver Justin Wilson. Wilson was replaced due to being unable to bring money to the team and the team’s engine provider Ford asked for a driver that could. Justin Wilson came into Formula 1 for the 2003 season driving for Minardi who had actually designed their 2003 challenger for Wilson. He had already been rather successful in other forms of motor racing before coming into F1 and very quickly began to out perform his vastly more experienced team mate Jos Verstappen. His best result for Minardi came at the 2003 Spanish GP where he finished 11th. However when Jaguar dropped Antonio Pizzonia after the 2003 British GP, Justin Wilson was very quickly scooped up to replace the Brazilian. Wilson made his debut for Jaguar at the 2003 German GP but unfortunately the Brit, being rather tall, struggled to fit in the Jaguar however he did manage to score his first (and only) F1 point at the 2003 United States GP. Well done to Bruznic, Mike, Cassius, Roger, Prashanth, Henrik, AJ, “The13thDuke”, Miz, Taflach, Auq, Ricardo and Jim. 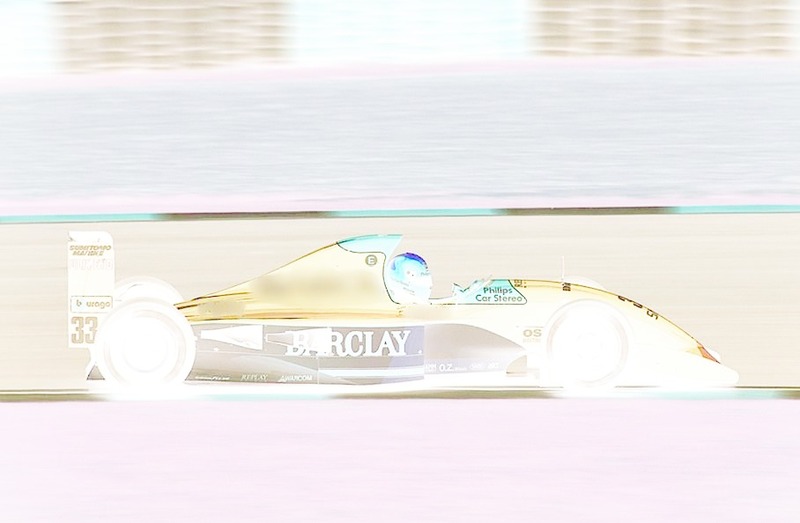 This week’s question(s): Can you name the team, car (model) and driver in the picture. Can you also name the designer of the car and where they finished in the championship? Justin was quick, and like many others, I thought it was F1’s loss that he had to migrate away from F1 to Indy Car. I ran into Justin at a PR event at a Southern California kart track (ironically for Red Bull) a few days prior to the Long Beach race in the spring of 2005. While I can be quick to disparage the inadequacies of Indy Car, I’m glad a tall and fast gentleman is able to have a long open wheel career such as Justin is enjoying.